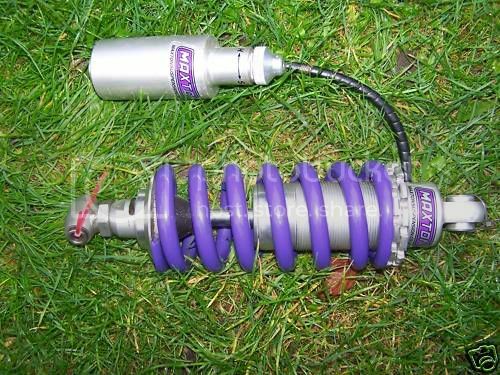 Whats your favourite NC29 Rear Shock? I was wondering what peoples opinions are of the choice of Rear Shocks for the NC29. What do people have, what do they like about them? What in your opinions is better a CBR600 shock or an aftermarket shock? WP list a shock for the NC29 in one of their catalogues and I am sure there are many others. Also was there ever a HRC kit Shock? 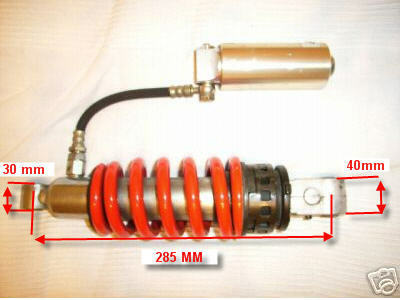 Re: Whats your favourite NC29 Rear Shock? I'm using CBR600F Fox Racing rear shock and very satisfied. I adjustable by height, preload and so on. Did you get your shock from ebay or new? I have searched the forum for what year fitments etc but does the CBR600 shock change the ride height from standard? lloydspencer wrote: Did you get your shock from ebay or new? Yes, bought this from USA. It wasn't new, but it was rebuild and revalved with Taxxon Dynamics and fitted new HyperPro 6x650 spring, but I was planning to ride on this bike. The shock from CBR600F3 1995, but pipe of external reservoir short I would like to have it longer. 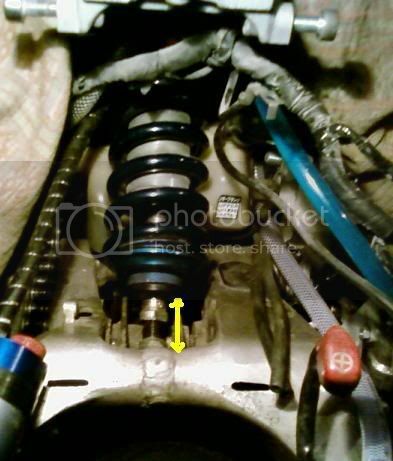 Stock shock from CBR600 F2\F3 with fixed height. You need any good shock with following dimensions. Last edited by vr46 on Sun Dec 19, 2010 8:08 am, edited 1 time in total. I've got a 1996 CBR 900 full Ohlins shock with remote braided line res just sitting in a box unused. I think it may be too long? I have measured it eye to eye and it comes to approx 300mm. The shock details are: "HO 6010" "V-715"
I have not used it because I thought it may not suit the bike... What do you think? 300mm eye to eye should be fine - I'm was tring to ride 310mm. It raise rear and made conrner hadling better, but little bit less comfortable seat.